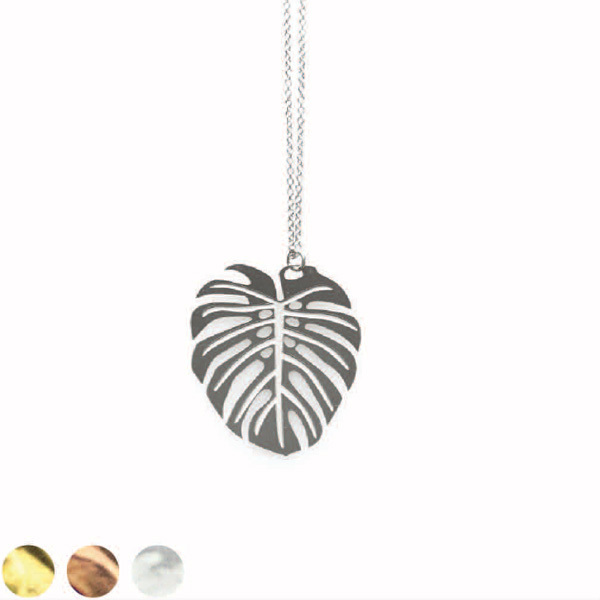 Polli is a sustainable jewellery and clothing label, designed and made in Byron Bay. Founded in 2002 Polli aim to be an environmentally and socially responsible business. Directors Sarah Thornton and Brooke Johnston are huge advocates for ethically and conciously made product and continue to create jewellery and clothing with this as a driving force. It is important to us to promote longevity of all our products. 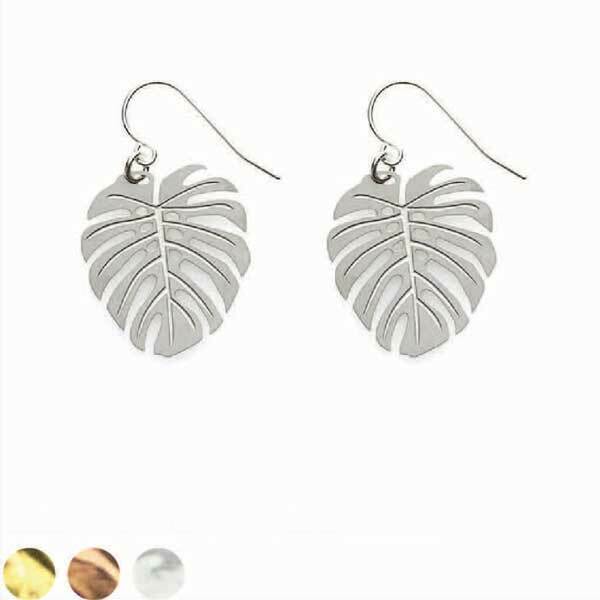 We produce our pieces from 70% recycled stainless steel. Our materials go through the cycle with us, resulting in minimal wastage in all our production processes with most of the materials being 100% recyclable. Our clothing is manufactured in small runs in Australia and we use natural materials whenever possible including linen, silk and organic cotton. sent to our local recycling facility. We use only cardboard and recyclable products for all our packaging. Wherever possible we use local businesses and manufacturers to reducing our carbon footprint. All Polli jewellery pieces are proudly Australian made. 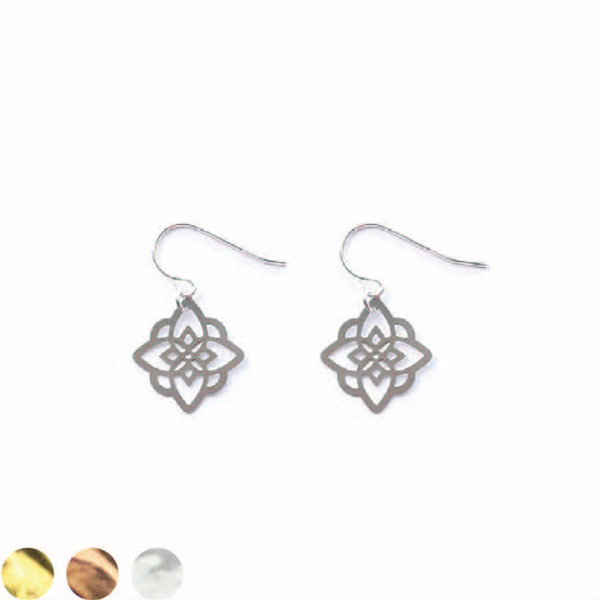 We use ne recycled stainless steel and all our designs are laser cut locally. We then twist, sand, and hand assemble all of the jewellery in house using quality hooks and chains. Our wooden range is made from Australian Hoop Pine Ply and is sanded, hand painted or digitally printed, laser cut from a local manufacturer and then we hand assemble all the pieces together. We use quality materials that are built to last. All jewellery is packaged and nished in our studio. 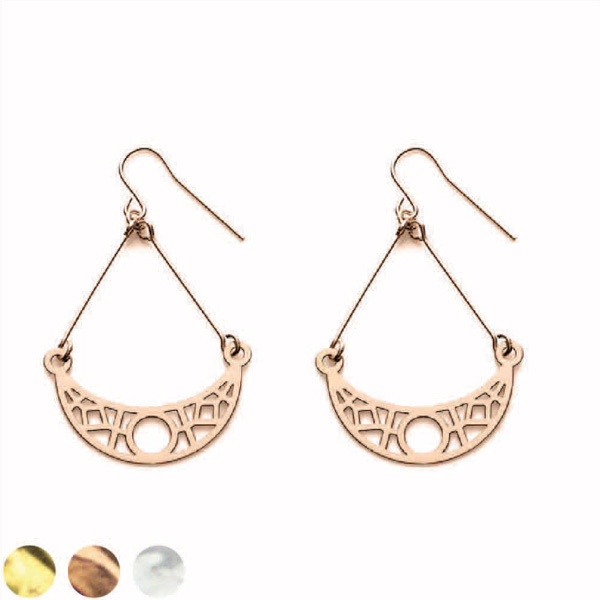 These earrings are finely etched 22.5crt rose gold plated on 22.5crt rose gold hooks. 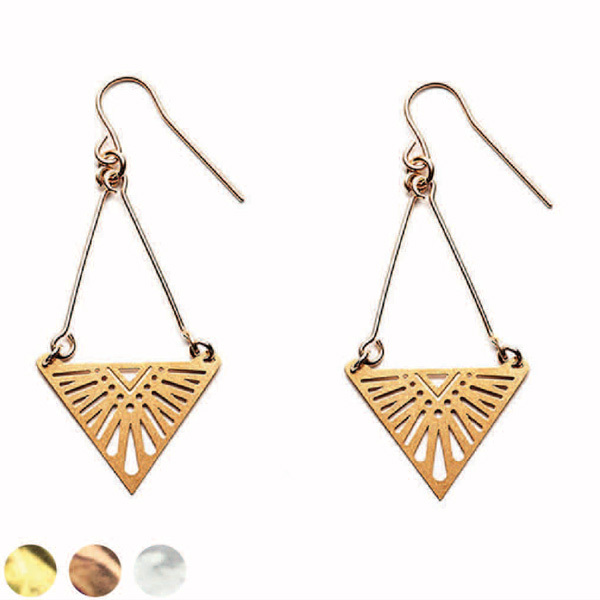 Also available in 24crt gold and stainless steel. 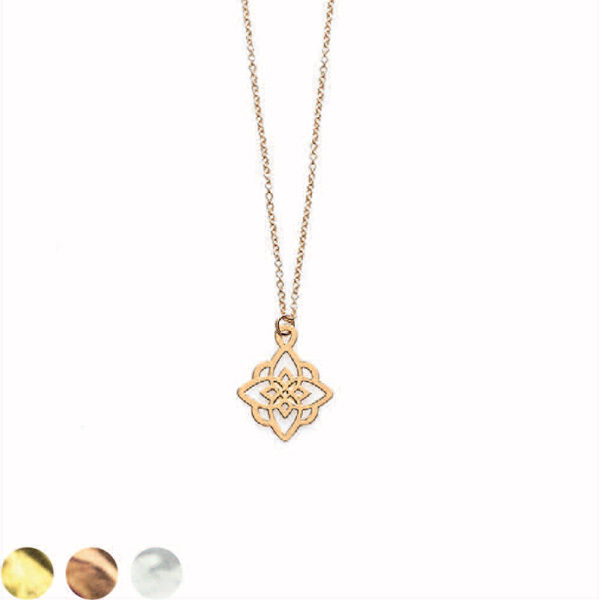 This delicate pendant is 22.5crt rose gold plated stainless steel hung on a fine rose gold filled chain. Also available in 24crt gold and stainless steel. 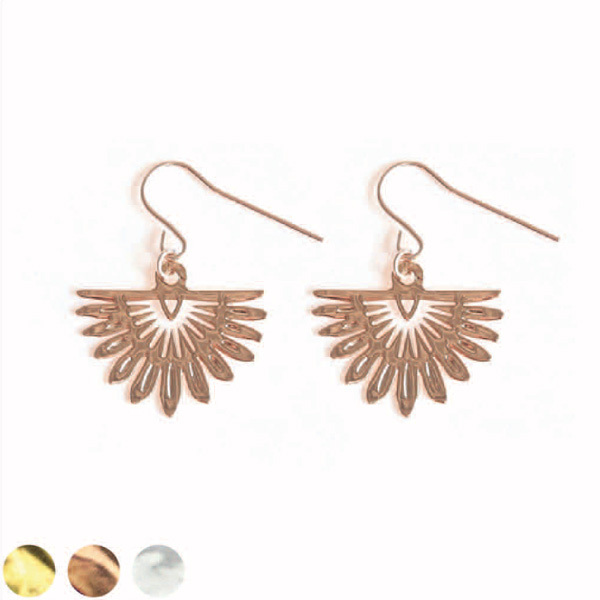 These earrings are finely etched 22.5crt rose gold plated on 22.5crt rose gold filled hooks. Also available in 24crt gold and stainless steel. 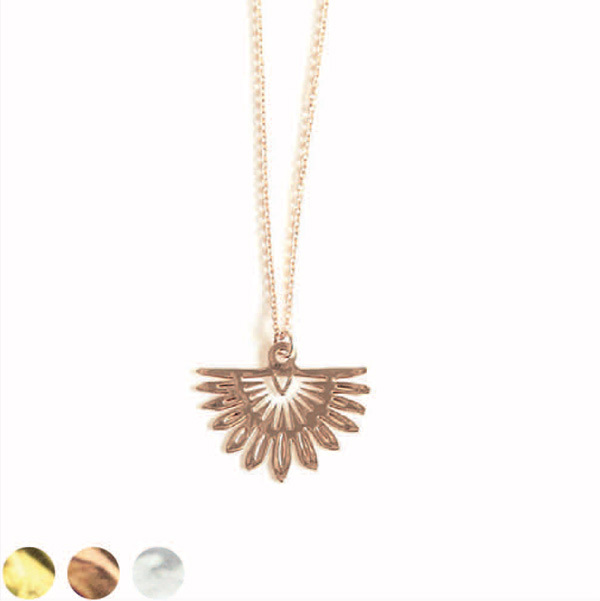 This delicate pendant is 22.5crt rose gold plated stainless steel, hung on a fine rose gold filled chain. Also available in 24crt Gold and stainless steel. 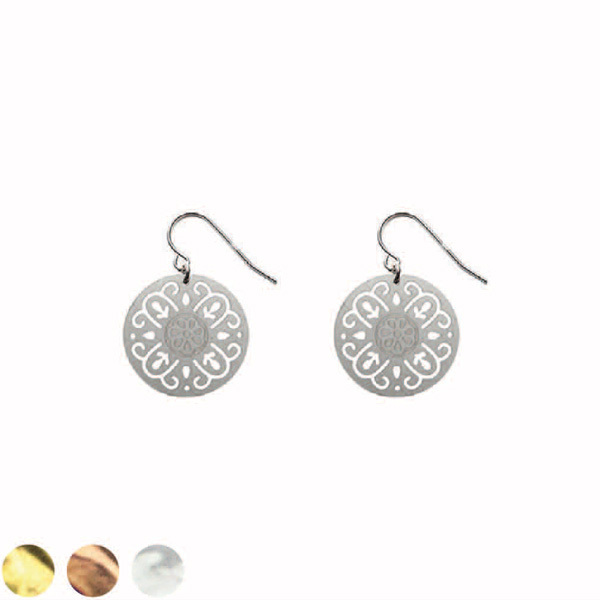 These earrings are finely etched stainless steel on sterling silver hooks. Also available in 24crt Gold and Rose Gold. 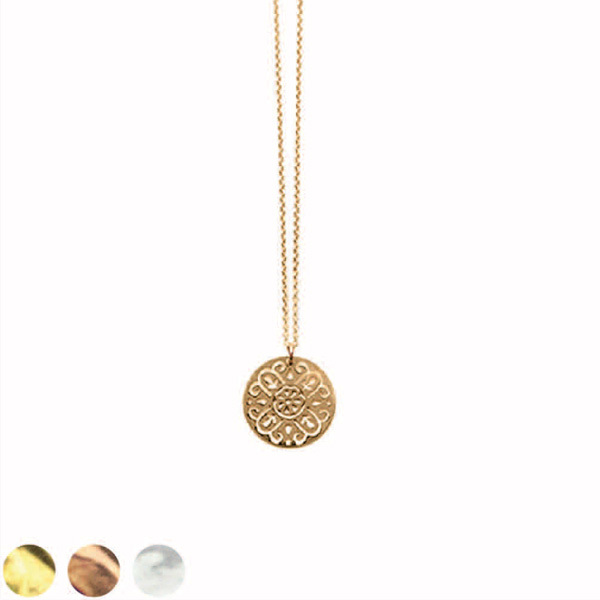 This delicate pendant is 24crt gold plated stainless steel, hung on a fine gold filled chain. Also available in 22.5crt rose gold and stainless steel. 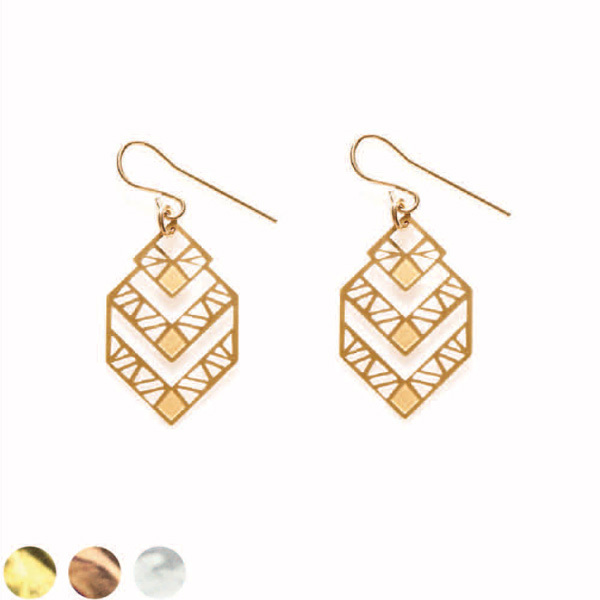 These earrings are finely etched 24crt gold plated on 24crt gold filled hooks. Also available in 22.5crt rose gold and stainless steel. 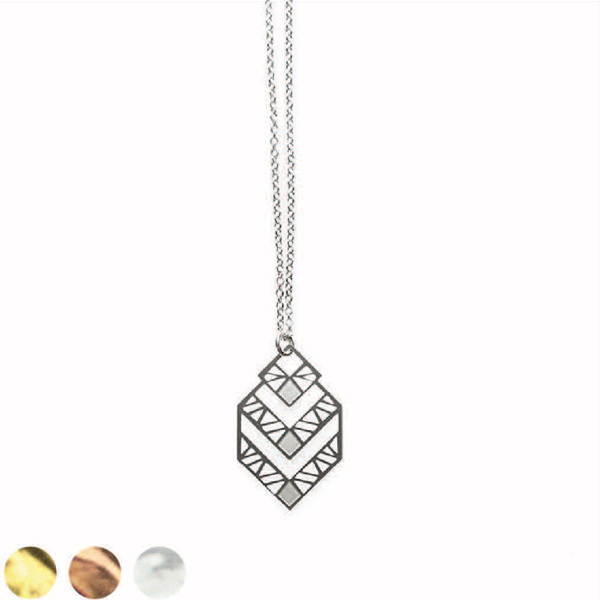 This delicate pendant is stainless steel hung on a fine chain. Also available in 22.5crt rose gold and 24crt gold. 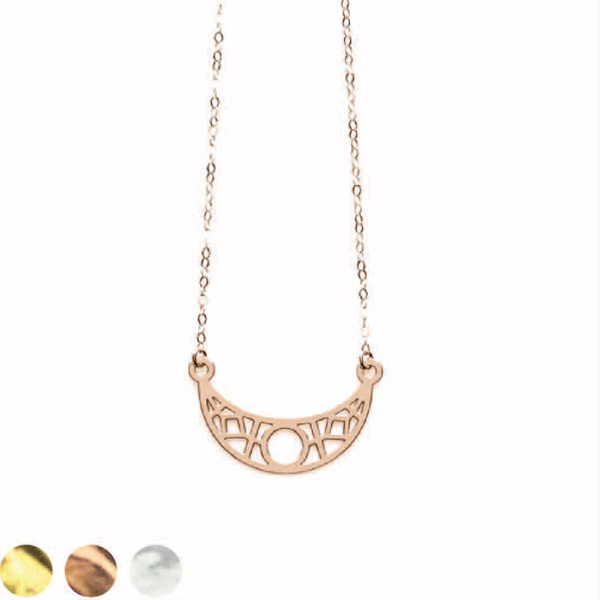 This delicate pendant is 22.5crt Rose Gold. 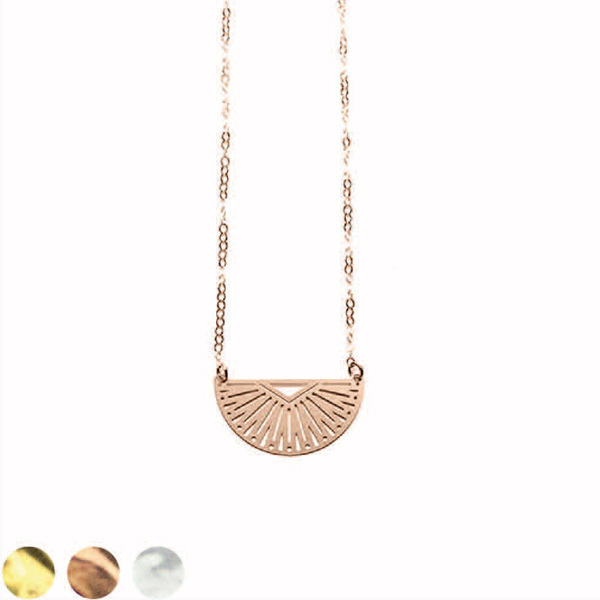 plated stainless steel, hung on a fine rose gold filled chain. 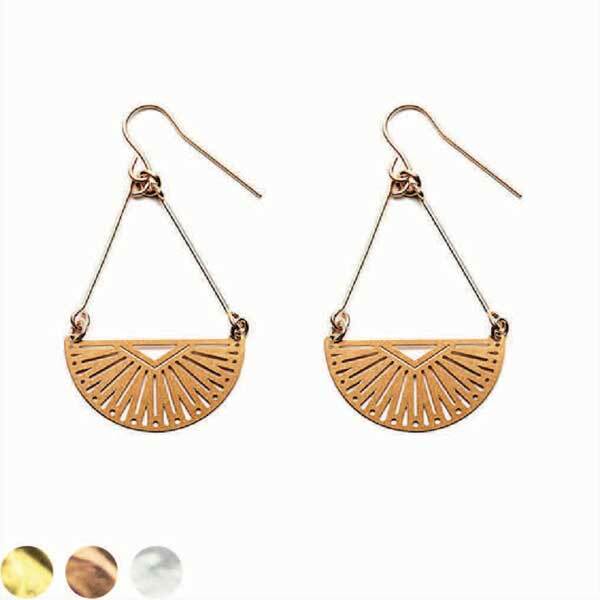 Also available in 24crt Gold and stainless steel.